Summer is snakebite season, especially when the summer rains fall. Recent press reports that the hot weather brings out more snakes are not quite true – snakes keep a low profile when it is really hot and dry and we have found this during various reptile surveys. Dehydration is a real danger for any snake and it very hot dry conditions they remain dormant underground or in hollow tree trunks. But when the rains come they are very active. We often drive quiet roads at night after good rains in search of snakes and it is not unusual to find dozens of snakes crossing the roads. If one looks at the statistics, the majority of serious snakebites occur between January and April and largely in the evening. Around 84% of all bites are on the legs below the knee followed by bites to the hands. Well over 90% of all bites are from the Mozambique Spitting Cobra, Puff Adder, Night Adder and the Stiletto snake. These bites are often extremely painful accompanied by swelling, blisters and subsequent tissue damage. Fatalities are rare but morbidity is something to consider. Some patients spend months in hospitals and require multiple operations to repair tissue damage. Encountering snakes in ones’ garden is a common occurrence, even in suburbs surrounding cities. The less developed your area is, the bigger the likelihood of encountering the odd snake. Despite popular belief, there is nothing that repels snakes – this includes Jeyes Fluid, Condies Crystals, chlorine, magnesium, naphthalene, old oil, commercially-available snake repellents and all plants including Geraniums and wild garlic. Snakes hunt for food and may end up in your garden so keep you garden clean of building rubble and compost heaps as well as piles of rocks and bear in mind that water features will lure frogs and many snakes feed on frogs. Encountering a snake could be traumatic. Do not try to kill or catch any snake – many people end up in hospital every year because they tried to kill or rescue a snake. Keep a safe distance of 5 m or more and call a snake remover – there is a comprehensive list of snake removers on our website www.africansnakebiteinstitute.com. But keep an eye on the snake – they are masters at escaping and disappear in no time. Various businesses such as game lodges, mines, wind or solar farms as well as various companies often encounter snakes on site and it is vitally important that such organisations have a good and workable emergency procedure in place to deal with such situations. This is well defined in the Occupational Health and Safety Act and failing to adhere to these requirements could result in very expensive litigation. In this regard we offer a variety of snake awareness, venomous snake handling and first aid for snakebite training courses. These courses are FGASA-endorsed and accredited by the Health Professions Council of South Africa. 1). All employees need to know that should they spot a snake they must not try to kill or capture it, unless trained, certified and in possession of the correct equipment. 2). Maintain a safe distance of 5 m or more, watch the snake carefully and notify management to either summons a qualified snake catcher within the company or to contact an outsider who can safely catch and remove the snake. 3). Once captured the snake must be removed off site immediately and released 5 – 10 km away in suitable habitat away from people. In most provinces a catch and release permit is required. Antivenom is not a first aid treatment and should never be used by lay people. Because of possible complications and even anaphylaxis, antivenom should only be administered in a hospital environment by a medical doctor if required. 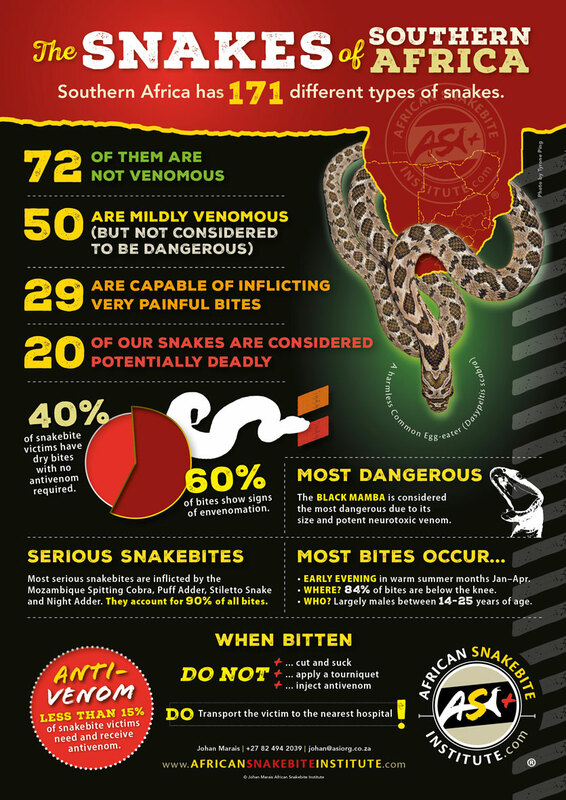 Over 85% of snakebite victims that are hospitalised do not need nor receive antivenom. Establishing which hospitals stock antivenom is not easy as even those that usually have it often use it without replenishing the stock immediately. 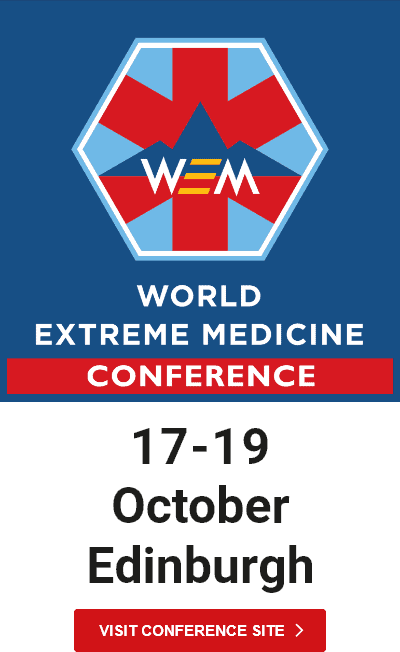 If this is of concern to you, visit your local hospital and discuss snakebite treatment and antivenom with them. Many of our corporate clients throughout Africa stock polyvalent antivenom and in the event of a snakebite will send their stock of antivenom with the patient to the hospital. Should you wish to do so, you need to stock at least 12 – 15 vials of Polyvalent antivenom at a cost of R1,350 per vial. It has to be refrigerated (not frozen) and expires after three years. In any serious snakebite on your pet, especially dogs as they attack and try and kill snakes, you need to get your pet to the nearest vet. In serious cases your pet will require antivenom and such a treatment may cost anything from R5,000 – R20,000. Do not waste time with Allergex tablets, charcoal, milk or any of the other popular first aid treatments – that is not going to do anything to save the life of your pet. Snake Removals List. We have a comprehensive list of snake removers around the country. For anyone who has completed an ASI course in the past and would like to be added to the list, drop Shannon an email – info@asiorg.co.za this list will be updated periodically.